LSA is a category of simple, very basic, small, light-weight, low-performance aircraft, other than a helicopter or powered-lift, and a classification of aircraft specific to the United States. The Federal Aviation Administration (FAA) defines LSA as an aircraft with a maximum gross takeoff weight of not more than 1,320 pounds (600 kg) for aircraft not intended for operation over water, or 1,430 pounds (650 kg) for aircraft intended for operation over water; a maximum airspeed in level flight of 120 knots (220 kilometers per hour (km/h); 140 miles per hour (mph)); a maximum stall speed of 45 knots (83 km/h; 52 mph); a maximum seating capacity of no more than two persons (including the pilot); fixed undercarriage and fixed-pitch or ground-adjustable propeller; and a single reciprocating engine (if powered). An aircraft that qualifies as LSA may be operated by the holder of a sport pilot certificate,whether registered as LSA or not. Pilots with a private, recreational, or higher pilot certificate may also fly LSA, even if their medical certificate have expired, as long as they have a valid driver’s license to prove that they are in good enough health to fly. LSA also have less restrictive maintenance requirements and may be maintained and inspected by traditionally certificated aircraft maintenance technicians (AMTs) or by individuals holding a Repairman: Light Sport certificate,and (in some cases) by their pilots and/or owners. Aircraft such as balloons, powered parachutes, and WSC do not require weight and balance computations because the load is suspended below the lifting mechanism. The CG range in these types of aircraft is such that it is difficult to exceed CG limits. For example, the rear seat position and fuel of a WSC aircraft are as close as possible to the hang point with the aircraft in a suspended attitude. Thus, load variations have little effect on the CG. This also holds true for lighter-than-air aircraft, such as a balloon basket or gondola. While it is difficult to exceed CG limits in these aircraft, pilots should never overload an aircraft, as doing so may cause structural damage and/or failures. Weight affects performance; therefore, pilots should calculate weight and remain within the manufacturer’s established limits at all times. WSC aircraft are one- and two-place aircraft that exceed the criteria of an ultra-light vehicle but do meet the criteria of an LSA. The definition for WSC can be found in 14 CFR part 1. A WSC aircraft used for sport and private pilot flying must be registered with an FAA N-number, have an airworthiness certificate, a pilot’s operating handbook (POH), and/or limitations with a weight and loading document aboard. As mentioned earlier, WSC aircraft are commonly called trikes. These aircraft have few options for loading because they lack places to put useful load items. One-place trikes have only one seat and a fuel tank, which means the only variables for a flight are amount of fuel and weight of the pilot. Two-place trikes can accommodate a pilot and a passenger. This version may have a small storage bin in addition to the fuel tank. The most significant factor affecting the weight and balance of a trike is the weight of the pilot and, if the aircraft has two seats, the weight of the passenger. The trike acts somewhat like a single, main-rotor helicopter because the weight of the aircraft hangs like a pendulum under the wing. 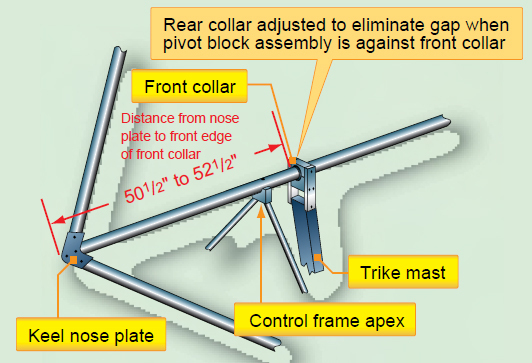 Figure 4-2 shows a two-place trike, in which the mast and the nose strut come together slightly below the wing attach point. When the trike is in flight,the weight of the aircraft hangs from the wing attach point. The weight of the engine and fuel is behind this point, the passenger is almost directly below this point, and the pilot is forward of this point. The balance of the aircraft is determined by how all these weights compare. 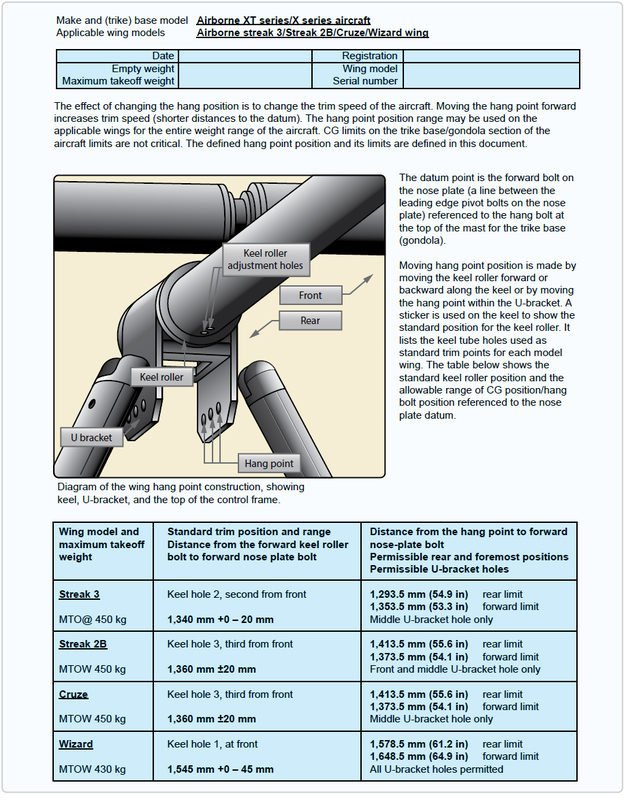 The wing attach point, with respect to the wing keel, is an adjustable location. The attach point is moved slightly forward or slightly aft, depending on the weight of the occupants. For example, if the aircraft is flown by a heavy person, the attach point can be moved farther aft, bringing the wing forward to compensate for the change in CG. Figure 4-3 shows a close-up of the wing attach point and the small amount of forward and aft movement that is available. Figure 4-3. Wing attach point. Similar to airplanes, sailplanes, and powered parachutes, increasing weight creates increases in speed and descent rate. However, the WSC aircraft has a unique characteristic. Adding weight to a WSC aircraft creates more twist in the wing because the outboard leading edges flex more. With less lift at the tips, a nose-up effect is created and the trim speed lowers. Therefore, adding weight can increase speed similar to other aircraft, but reduce the trim speed because of the increased twist unique to the WSC aircraft. Each manufacturer’s make/model has different effects depending on the specific design. For detailed weight and balance information, characteristics, and operating limitations, always reference the specific manufacturer’s manual or POH for the make and model. Figure 4-4 shows an example of a weight and loading sheet that would be issued with a WSC aircraft. Every aircraft has its own weight and loading data that should come from the manufacturer. The example in Figure 4-4 comes from Airborne, an Australian company, named Airborne XT WSC aircraft. For additional information, refer to the Weight-Shift Control Aircraft Flying Handbook (FAA-H-8083-5). Powered parachutes have many of the same characteristics as WSC aircraft when it comes to weight and balance. They have the same limited loading, with only one or two seats, and a fuel tank. 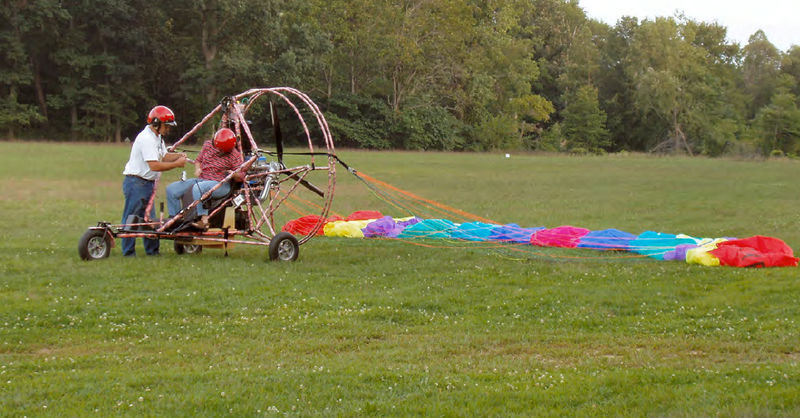 A powered parachute acts like a pendulum with the weight of the aircraft hanging beneath the inflated wing (parachute). The point at which the inflated wing attaches to the structure of the aircraft is adjustable to compensate for pilots and passengers of varying weights. With a very heavy pilot, the wing attach point would be moved forward to prevent the aircraft from being too nose heavy. 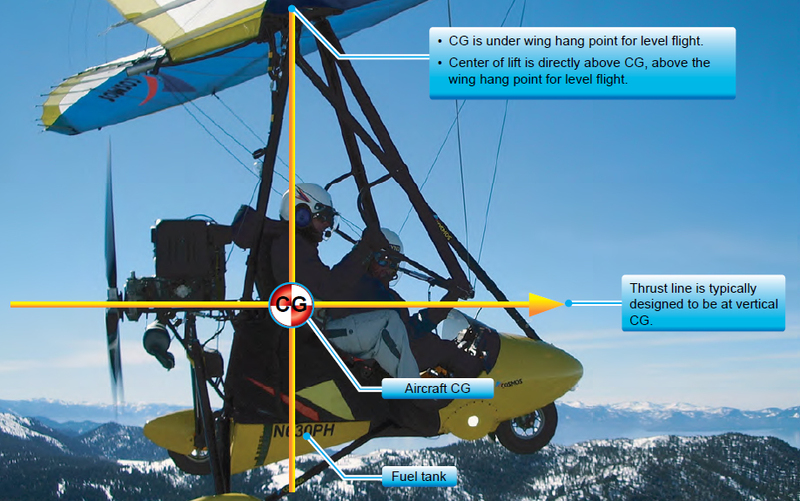 Figure 4-8 illustrates the structure of a powered parachute and the location of the wing attachment. A powered parachute used for sport and private flying must be registered with an FAA N-number, have an airworthiness certificate,a POH, and/or limitations with a weight and balance document aboard. The aircraft must be maintained properly by the aircraft owner, or other qualified personnel, and have the aircraft logbooks available for inspection. Always refer to the POH for weight and balance information specific to the powered parachute being flown. For additional information, refer to the Powered Parachute Flying Handbook (FAA-H-8083-29). A good weight and balance calculation is the keystone of flight testing an amateur-built aircraft. Accurately determining the aircraft’s takeoff weight and ensuring that the CG is within the aircraft’s design for each flight is critical to conducting a safe flight test. The aircraft should be level when weighed, span wise and fore and aft in accordance with the kit manufacturer’s instructions, and should be in the level flight position. It is highly recommended that the aircraft be weighed in an enclosed area using three calibrated scales. Bathroom scales are not recommended because they are not always accurate.